TV manufacturer Samsung has confirmed that the BBC iPlayer, the UK's leading catch-up TV service, is set to be one of its first apps built into its televisions this year, confirming CES rumour and speculation. BBC's iPlayer TV catch-up software will be available as soon as you plug your TV in. Providing, of course, that you have a Wi-Fi connection to allow it to connect to the internet. 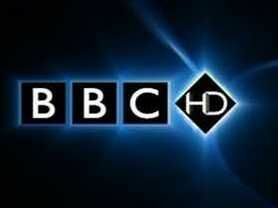 The BBC has confirmed this week that the service will be made available within months. Samsung is one of the first major TV manufacturer to offer it, via its Internet@TV service. Innovative Brit outfit Cello was the first TV manufacturer to offer televisions with built-in iPlayer late in 2009. Following the recent CES hype about 3D and OLED, it is nice to see the company offering its customers a genuinely groundbreaking service in the near future. In addition to the BBC iPlayer, Sammy's Internet@TV service will also include an online version of LoveFilm's DVD-rental service. Muzu.tv will also be pre-loaded, offering access to one of the largest legal music video libraries online. Erik Huggers, BBC Director Future Media and Technology, told The Telegraph: "BBC iPlayer has enjoyed huge success since launch two years ago, and the next challenge for us is taking the service mobile and into the living room; we've built a version of BBC iPlayer that can be easily adapted to work on internet-connected TVs. " Samsung plans to develop up to a hundred new Apps for its Wi-Fi-connnected Blu-ray players and TVs.